The CMO and CIO must align their teams and strategies to achieve customer centricity, according to marketers and IT officials. Professionals from each business unit shared their views this week at the CMO – CIO Customer Experience breakfast forum hosted by CMO and CIO magazines and the Association for Data-driven Marketing and Advertising (ADMA). “Marketing’s from Mars and IT’s from Venus,” said Jeffrey Evans, American Express head of global digital marketing (pictured). To work well together, the CMO and the CIO must learn to speak the same language, he said. There is often an impasse when marketing asks IT what’s possible with technology and IT replies by asking what marketing wants, he said. But the real, unifying question is to ask what the customer wants, he said. It’s important to “take a collective view” of the organisation rather than act in silos, agreed fellow panellist and Stockland general manager of group marketing, Ben Allen. Listening to the customer voice must be a priority, he said. Daniel Johnson has led IT at Sydney Opera House for six years as head of information systems. He said his experience in the past had been that IT – when acting in isolation – was seen by other business units as the “stopper”. That has changed since Anna Reid joined the performing arts venue as director of marketing in September last year. Reid and Johnson said they brought their teams together with a fresh focus on transforming the customer experience, and have also introduced several new roles to build digital and data capabilities that will help drive a more customer-first focus. Johnson said the simple act of talking with Reid has kept IT and marketing on the same page. “It sounds like it should be easy, but it is actually quite difficult,” Reid said. One thing that helped was assigning a marketing representative to communicate with Johnson’s team, she said. From the IT side, Johnson said an initial challenge was changing the attitude of his team, which had previously been absorbed in implementing and maintaining technology. “It’s changing that mindset to be more customer focused, be much more flexible, and understanding what [marketing’s] goals are for customers and making sure that we are aligned together in that path,” he said. One recent project where Reid’s and Johnson’s teams worked together was using technology to help customers find their way around the Sydney Opera House. Heritage building rules that limit the amount of signage the Opera House can display have required clever solutions. “We have this invisible force field when people come onto the site and walk up to the Opera House – they have no idea where to go ... and what to do when they get there. So we have this amazing need for technology to be able to help people navigate their way around the House,” Reid said. 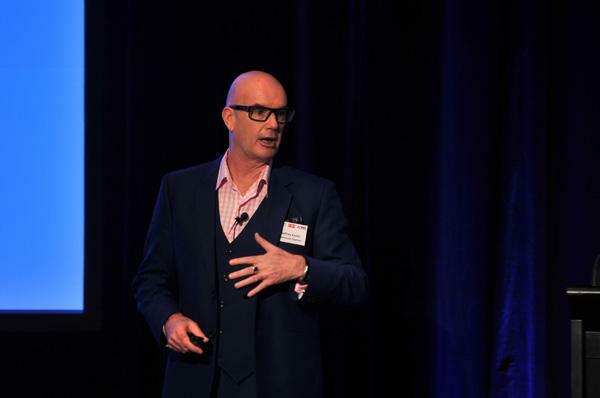 This kind of alignment between IT and marketing is critical for any organisation, said Evans. “It’s actually a lot easier to achieve an objective when you’re heading in the same direction,” he added.